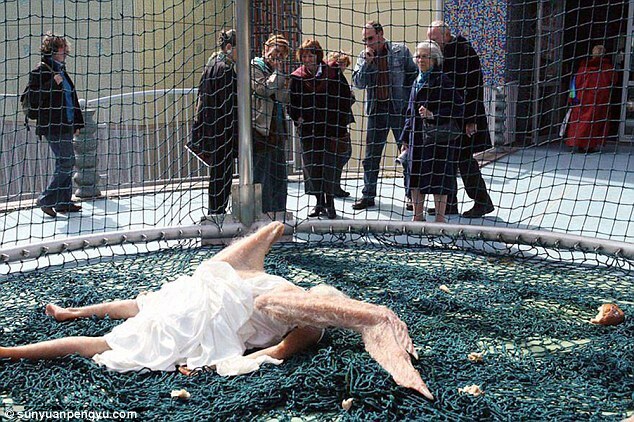 Art lovers were shocked by a ‘fallen angel’ installation that was unveiled in Beijing this week. The extremely realistic work was created by Chinese artists, Sun Yuan and Peng Yu. The pair are known for blurring the lines between art and reality by using materials such as human body fat in their work. Their latest piece, entitled ‘Angel’, has just been installed in China’s capital, reported People’s Daily Online. 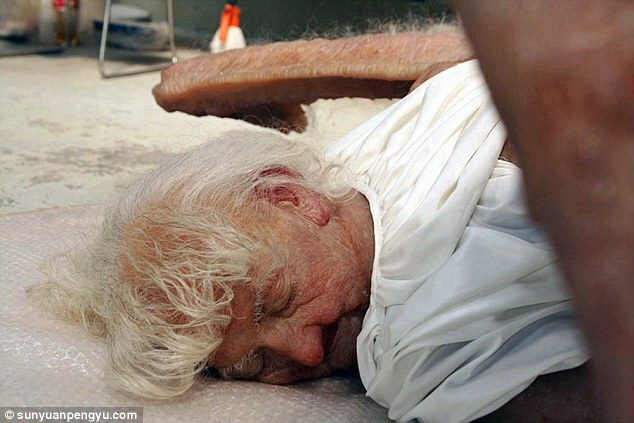 The disturbing sculpture depicts an old woman lying tangled on the ground. 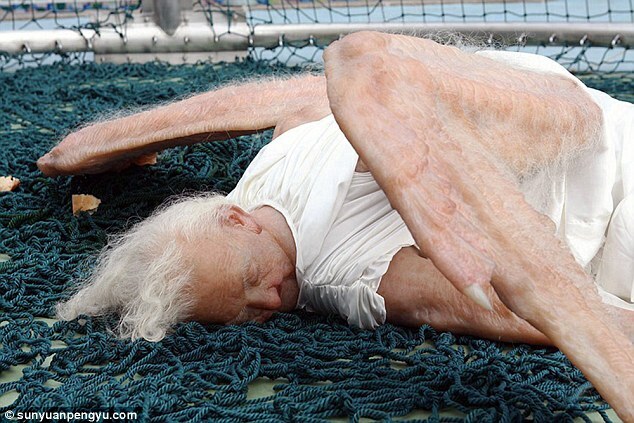 To illustrate her fall from grace, the woman also sports featherless wings on her back. The artists created the piece using silica gel, fiberglass, stainless steel and woven mesh. However, these materials are pretty tame for the pair. They have been known to use human fat tissue, live animals and baby cadavers in order to challenge perceptions about death and the human condition. 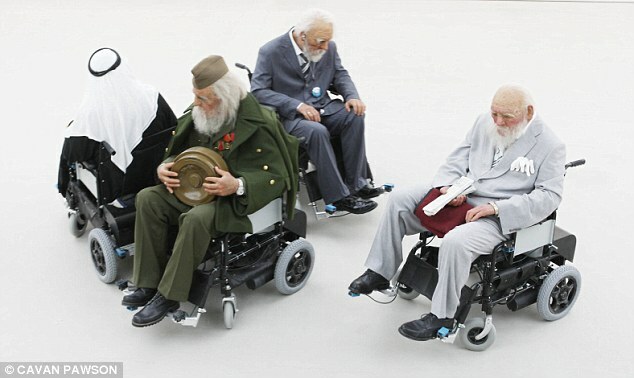 One of the duo’s previous works, titled ‘Old Persons Home‘, also focused on the older generation. 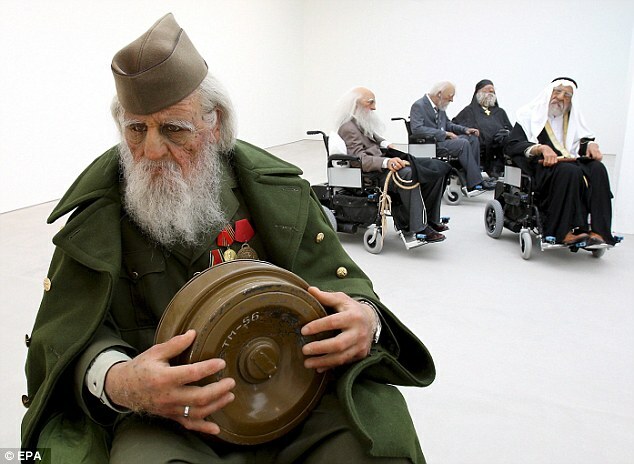 The installation, created in 2007, was made up of sculptures of geriatric old men, which looked suspiciously like world leaders. 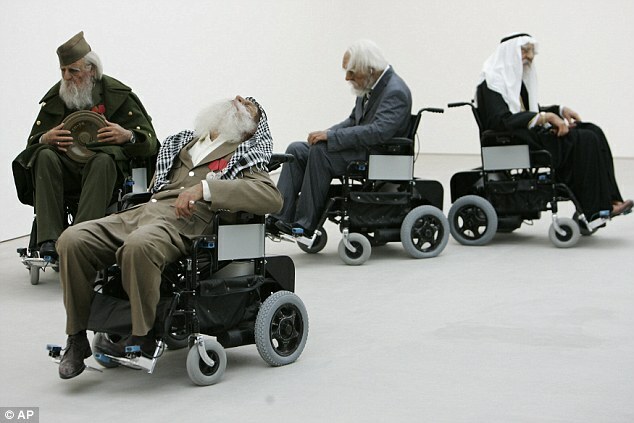 Rather than being a static piece, the models were placed in electric wheelchairs and left to bump into each other at random. 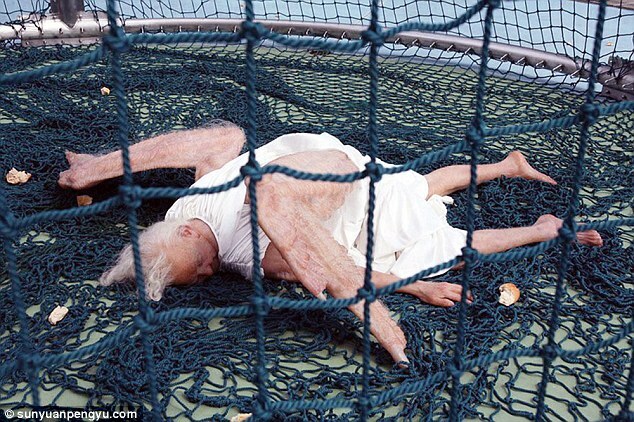 Both ‘Angel’ and ‘Old Persons Home’ have also been displayed at the Saatchi Gallery in London.